Crystals have several properties that a metaphysician can use. Crystals hold and release energy. The energy can be put in “in formation”, ie. as information, that is later released by the crystal as required by you. Crystals can focus and condense energy. They can help you distil something down to understand the true nature. Perhaps you have a problem or issue that you cannot get to the bottom of. The crystal can condense that information, focusing it down before releasing it back to you. 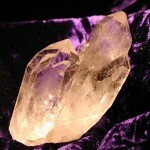 Crystals can amplify and direct energy. This is one of the most used properties. You can take your program (what is a program?) with all its joy and love, and amplify that program, making it so much more powerful than before. Resonance. All crystals have a resonance. This is one of the major ways people work with crystals without even being aware of it. Just by being with them they can lift your resonance. This is particularly noticeable with Ancient One Crystals. What is an Ancient One? Ancient Ones are beings who have reached a particular level of evolution. 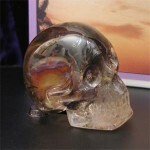 They can express themselves in many forms, one of which is as a crystal. Other forms can be human or as Ancient trees. Choosing the right type of quartz for you. 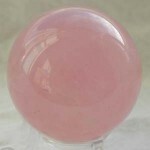 Rose quartz is very rare in elestials but if you need help or clarification in working with emotions then rose quartz is for you. It lends itself beautifully to emotional work. With clearing negative emotions through feeling, understanding and releasing to let them go. And also with positive emotions through feeling, understanding and releasing to allow the feeling of more. It can be programmed to create situations that facilitate the positive emotions. I really like rose quartz. Looking for a grounding, gentle, slow energy. Smokies have a lovely soft energy, particularly those from Madagascar. They are best used for slowly stripping away at problems, layer by layer, and gradually building what you want, layer by layer. For fast manifestations or healing where you want it done all in one go, don’t use a smokey. A citrine would be better. But if you are building something a step at a time, use a smokey. The formula one racing car of the quartz world! 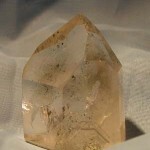 Citrine crystals have a very fast energy. They are great for fast manifestations. They will not hold negative energy, so don’t put a negative emotion into them and plan to come back to work on it later – it won’t be there! But by all means put your positive emotions into them and let them amplify them. The jack of all trades. Clear quartz basically does the lot. It can be used for programming, healing, holding both positive and negative emotions, and holding other information. A great all rounder. The meditators stone. 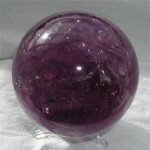 Amethyst particularly facilitates communication between you and your Higher Self. This is its strong point. It can be used for most other work also, like the crystals above.